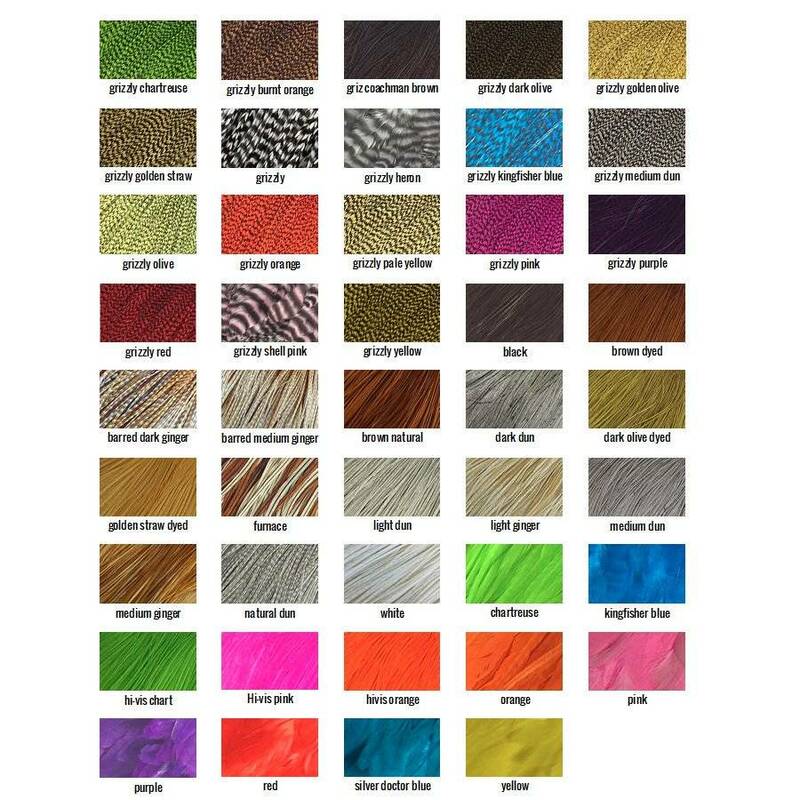 Whiting half capes have long supple quills, incredible barb density and a full range of hackle sizes down to the 20's set the industry standard for quality and value. 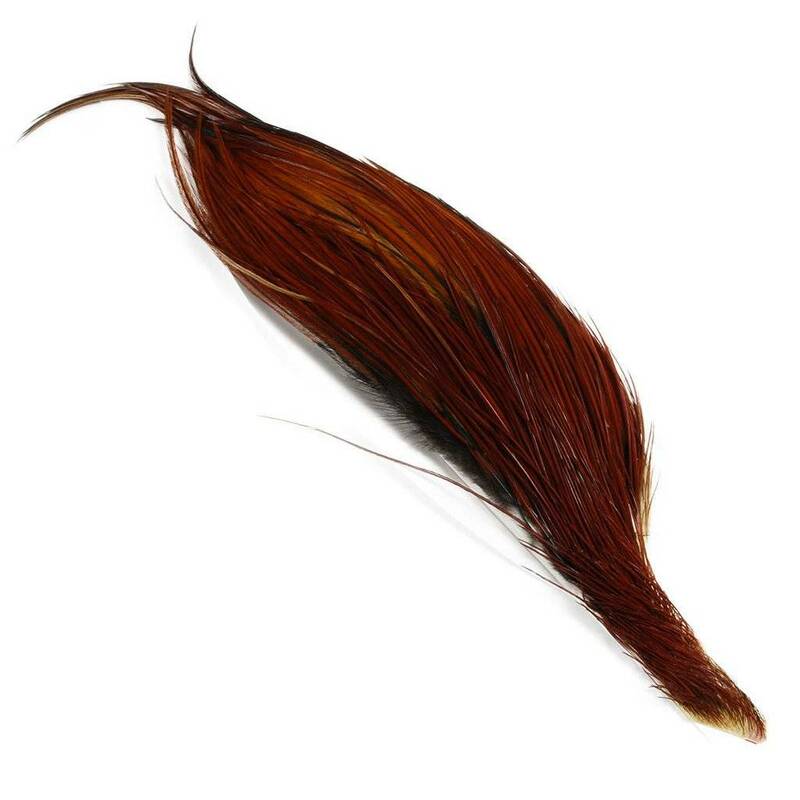 This product line derives its heritage from the legendary Hoffman grizzly super hackle stock. Bronze grade is not only the sweet spot in terms of value but also is, in Tom Whiting's words, adequate for 90% of most tiers' needs. The average feather in a bronze cape ties 1 fly and hackle sizes span 5 to 6 hook sizes (i.e., sizes 10 through 18). 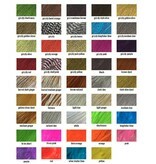 Brown may be dyed if the natural is unavailable; other colors are natural unless specified as dyed.